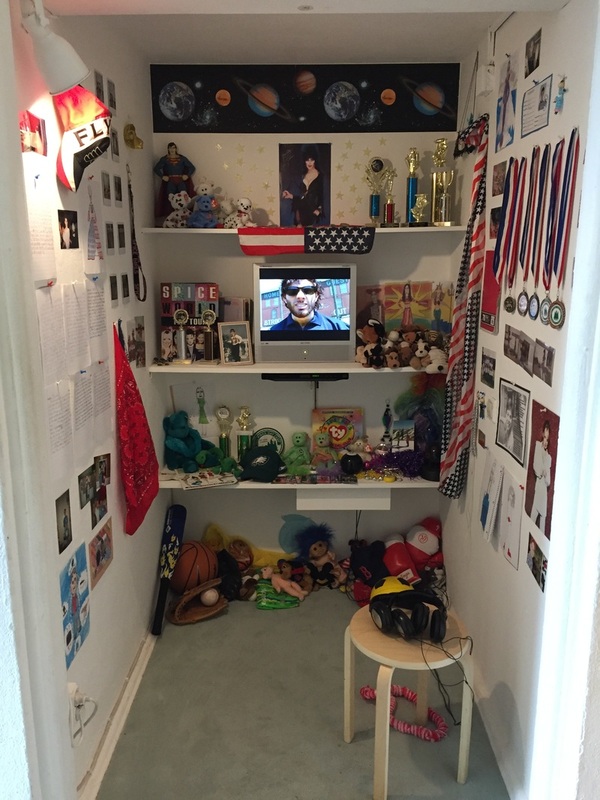 As a part of the contesting/contexting SPORT 2016 exhibition, co-curated by Stuart Meyers at Berlin's galleries nGbK & Kunstraum Kreuzberg/Bethanien, Stuart creates a video installation– a closet shrine filled with his childhood memorabilia and memories of sports and his escape from them. On the central monitor plays a 30 minute film composed of interviews with his parents, childhood footage from the 1990's and reenactments of his worst sport nightmares in which he plays all the parts. Showing at Kunstraum Kreuzberg/Bethanien July 8th-August 28th, 2016. Tap Dancing in the Outfield from Stuart Meyers on Vimeo.